On this page, I will reveal the top 5 best power distribution boards for your quad. Now I know that lots of us are moving away from using separate power distribution boards (PDBs) since we are using flight controllers with integrated PDBs such as the Beta Flight F3. However many people don’t like to have their power handling on a separate board. If this describes you and you want a PDB, then here are my top 5. 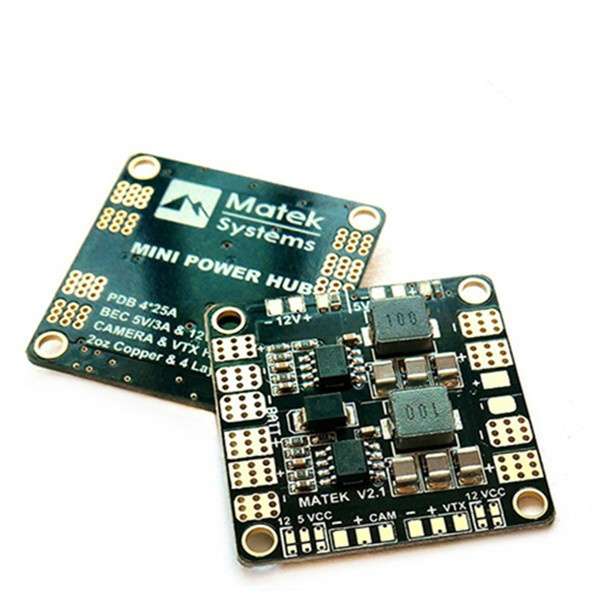 The reason the REALACC Matek Mini power distribution board comes into the number one spot is because it has just about everything you need a PDB to do. What do I mean by this? Firstly, you can easily choose between the voltage for your VTX and camera, giving you full control over the power handling in your quad. It has two outputs that you can choose from 5V and 12V and they both work perfectly. 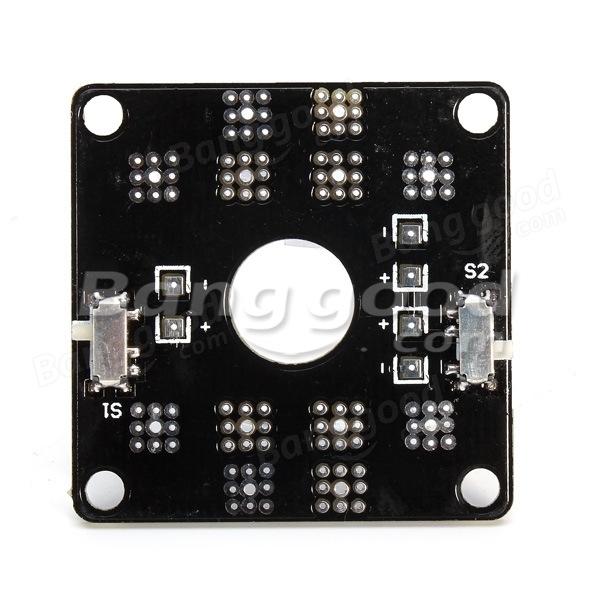 Moreover, the solder pads are quite large meaning that soldering on this PDB is really easy. However, favorite feature is the combination of a beeper and voltage meter on this PDB. It means that I no longer have to put a separate one on my quad meaning that I save around 8g on the overall weight. Overall, this is a fantastic little power distribution board that I highly recommend. 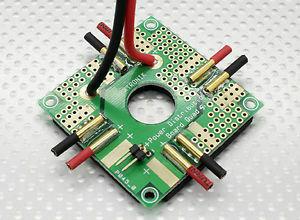 The Quadcopter Power Distribution Board XT60 XT-60 20a is a solid PDB that I have used for some months. The bullet connectors are 3.5mm and offer a nice alternative for those of you who don’t like to solder. The board is thicker than the other ones on this list, however, this is because it has some foam at the bottom which minimizes vibrations meaning that your overall flight is very smooth. Unless I was professionally racing, this is a compromise that I am happy to make for better quality of flight. I think the extra pins are very hand too since you can add or attach extra stuff, or even connect to a second PDB. The instructions included are very clear and so if you are a beginner who does not like to solder then this is the perfect power distribution board for you. This my favorite PDB on the market right now. The board can be stacked with most flight controllers and has clean power meaning it is easy to add accessories. The extra pads mean that adding things like a voltage alarm or ESCs are really easy to do since they are nice and big and thus easy to solder. The 12V and 5V outputs work like a dream when feeding power to the flight controller. Not only does this board work really well, but it is also very easy to assemble onto your quad (meaning it is perfect for beginners). The instructions are clear, concise and easy to follow and even have nice pretty pictures too. In terms of durability, the board is quite thick meaning that it is unlikely to break and thus very durable. Overall, this is a fantastic power distribution board that will satisfy your needs as a pilot and therefore I highly recommend you buy it. 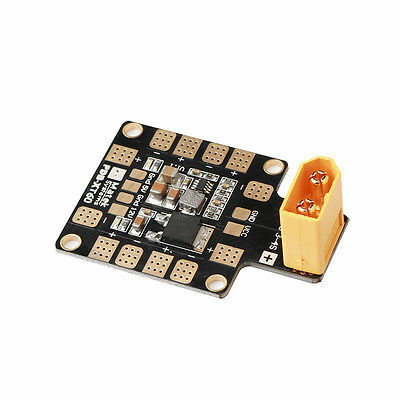 The YKS CC3D Flight Controller Mini PDB is one of my favorite power distribution boards. 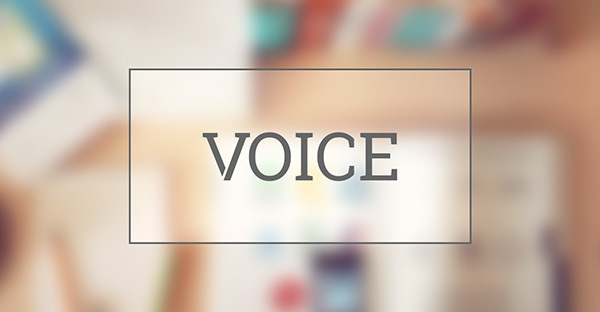 The latest version has a 5-volt and 12-volt output. The layout is very similar to the V1 PDB but now the BECs are now integrated into the PCB using surface-mount-technology, and thus they are much more reliable. The 5V output can be used to power your FC or receiver. Alternatively, you can use the 12V output to power any lighting or FPV camera. The board itself is just 36mm, meaning that you can simply place it onto of your CC3D, Naze or almost any other type of flight controller. Overall, this is an excellent product that will keep you coming back for more. Our final power distribution board on this list is the Quick Swap PDB which has solder-less arm connections – perfect for anyone who hates soldering and wants to quickly attach the PDB to their quad. 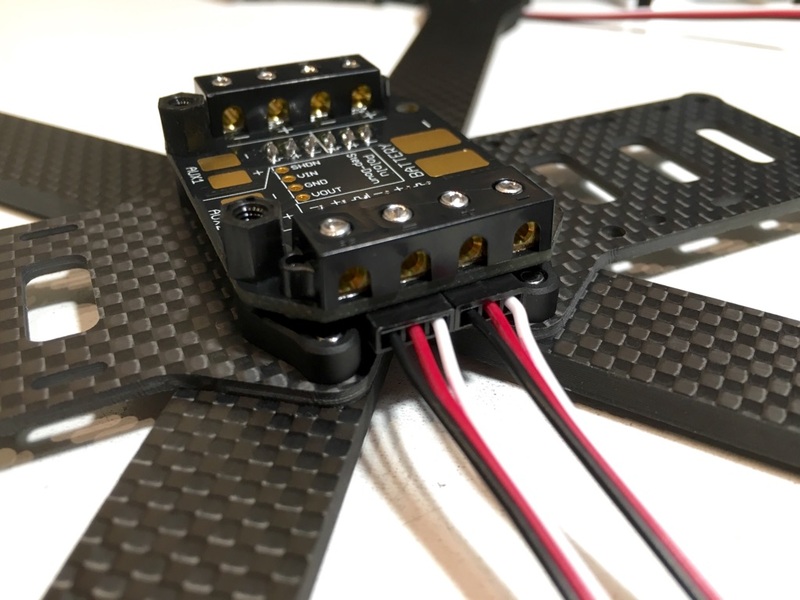 This is because it uses bullet connectors which have been taking the drone community by storm since they allow you to attach your PDB without having to take apart your entire drone. I’ve been using this PDB for a couple of months now and love it. Highly recommended.